Pei Zhou is a Senior Associate at SDC. 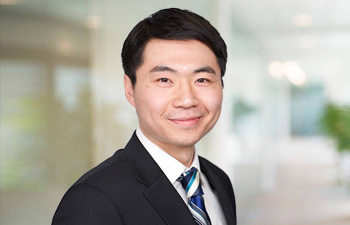 Prior to joining the company, Pei was an Investment Associate at Aptigon Capital, a Citadel company, where he was part of the fundamental long/short equities group. Prior to Aptigon Capital, Pei was an Associate at Healthcare Royalty Partners (“HCR”), where he supported HCR’s transaction-related activities, including financial analysis, transaction structuring and due diligence. Before joining HCR, Pei worked in the healthcare investment banking group at MTS Health Partners. Pei holds a B.A. in Economics from University of Pennsylvania and is a CFA® charterholder.